Getting a Little Fresh Around Here! New Displays, New Quilts, New Ideas, New Saturday Sampler..... but the same Employees! Come meet HooDa & Co. and Silhouettes Gone Wild! Four new quilt blocks for the 2015 Saturday Sampler. We will be starting our first class at 8:00 am or 9:00 am on January 10, 2015. We will review the rules along with revealing the new blocks. You do not need to sign up, just be there a few minutes early. 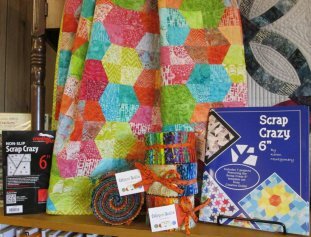 We have some beautiful quilts from the Scrap Crazy trunk show displayed and we have the books and rulers to make all the patterns in the book. 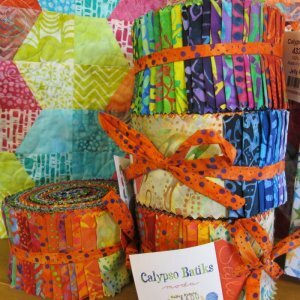 Yummy Batik Jelly Rolls- When you can't make it to the Island, just make a quilt using Calypso Batiks. We have quilt labels here for you to use in order to label your quilts. It is really important to tell the story of the quilt you just made. We have a wide assortment to choose from. Each label is only .25 cents. 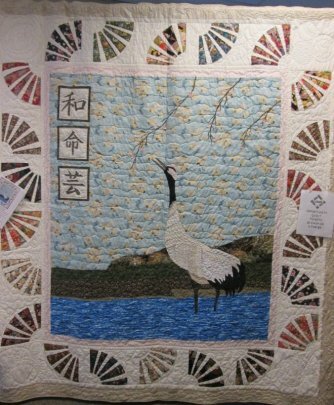 2015 Opportunity Quilt, "Asian Harmony"
The guild uses the profits from ticket sales to purchase quilting theme books for all Wyoming County Libraries. We just received these 2 new books by Gathering Friends! Let us take you to that indulgent world of color and texture every quilter dreams of. Pamper yourself by browsing through the inspiring designs, from runners to bed quilts. 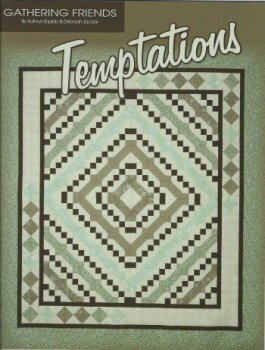 Hope you find Temptations irresistible! Inside these pages are 12 runners paired with some delectable recipes. 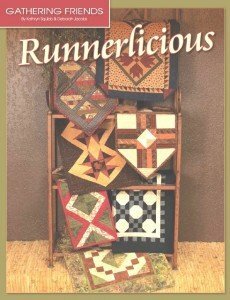 Runnerlicious contains a prize-winning combination, quilting and food. As you thumb through the pages, let your imagination and your appetite run wild! All Christmas Fabric is on sale, Buy 1 yard, get 1 yard free. Sorry ladies, we are fresh out of the patches. 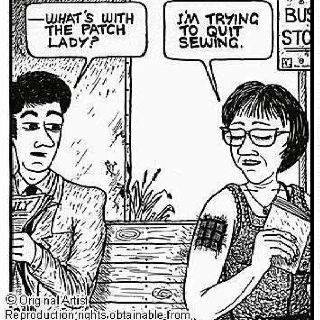 So just keep sewing until we get them back in.